If you or your loved one has limited mobility or are looking for ways to modify your home to age-in-place without assistance, look no further. T.Webber Bathroom Remodeling offers complete safe bathing solutions with a full range of options to suit your accessibility needs. Our accessible bathing specialists will work closely with you on all aspects of your remodel, from general design and layout to specific features and add-ons to ensure your bathroom is safe and comfortable for your whole family. 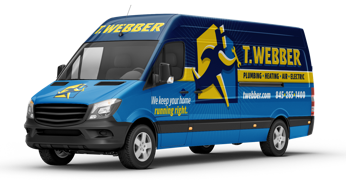 Whether you are considering a walk-in tub, barrier free shower, or installation of safety bars look no further than T.Webber. Tubs can often be dangerous for those with limited mobility. Climbing into a slippery tub can create an unnecessary risk of slipping and falling. If you or a loved one enjoy bathing, but want to do so stress free – consider a walk in tub. Designed to fit in the same space of your existing tub or shower, our easy-access bathtubs paired with grab bars and built in seating, allow you to bath safely. Barrier free showers are just what they sound like – showers that are level to the floor eliminating the obstacle of stepping over shower walls and allowing for easy wheelchair accessibility. Barrier free showers, when combined with safety grab bars and built in seating, allow those with limited mobility to bathe safely and keep their bathing independence. Call today to schedule your free in-home consultation and start designing the accessible bathroom of your dreams!